Testing, qualification and certification is critical to bringing a design from the prototype stage to production release. This is often an iterative process in which a product is modified and improved until it passes all requirements. Depending on the application and the end use, these tasks can range from simple compliance with general industry norms to adherence to very rigorous specifications. The latter is especially true for any parts, components, systems and equipment developed for automotive, military, aviation or space markets. Nearly all developers will rely on a third-party, or independent, facility to test their products’ ability to meet specific standards which leads to their certification and qualifications. While it may be possible to “self-certify” for some standards, in many instances an outside company is required by the standards organizations to issue the certifications. Most often it is simple economics as the cost for a company to maintain the equipment, staff and expertise for their required certifications can be very high. One company engaged for these services is Experior Laboratories, Inc. They are an independent, third-party testing, design verification and qualification laboratory. 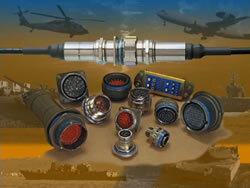 Their expertise is related to fiber optics, electrical connectors and environmental testing. Specializing in environmental testing, telecommunication testing, and military testing, their typical customers include component manufacturers, military contractors, integrators and system providers within the telecom, datacom, military, aerospace and industrial markets. Experior is also ISO/IEC-17025:2005 accredited to conduct fiber optic calibration on equipment such as return loss meters, light sources, wavelength meters and more. Having maintained ISO/IED-17025 accredited for years, Experior has proved via third-party audits that their laboratory meets the stringent quality and technical requirements for testing and calibration. In addition to testing for North American standards, Experior Laboratories has the capability to conduct a wide-range of test standards issued by the EN (or European Standards, European Norms). The EN covers many different products, services, and systems. A common series of standards for the aerospace industry is EN-2591 which specifies general requirements for testing electrical, optical and data transmission system connections. About 100 test methods are in the EN-2591 standard; Each are assigned a unique number and name. For example Sine and Random Vibration testing is assigned EN-2591-403. Experior Laboratories also supports testing to many other different International Electrotechnical Commision (IEC) standards. Recognized in the industry for superior customer service, consistent on-time delivery, project management by experts and end-to-end accountability, Experior offers customers cost-effective, highly qualified services that add value to any organization, regardless of size, with testing, verification and qualification needs. They serve the global marketplace with superior test, measurement, qualification, design verification, certification and calibration services to meet fiber optics, electrical connectors and environmental testing requirements. As a company, they are committed to absolute accountability – to customers, partners, employees and the testing industry as a whole. From first contact through final service delivery, Experior draws on experience, expertise and superior customer service to bring honest, accurate and expedient solutions to the table. Experior adds value to any company requiring testing services in the way of cost savings, improved time-to-market and a worry-free experience. Disclosure: Experior Laboratories is a client, sponsor or has a professional connection with this site.